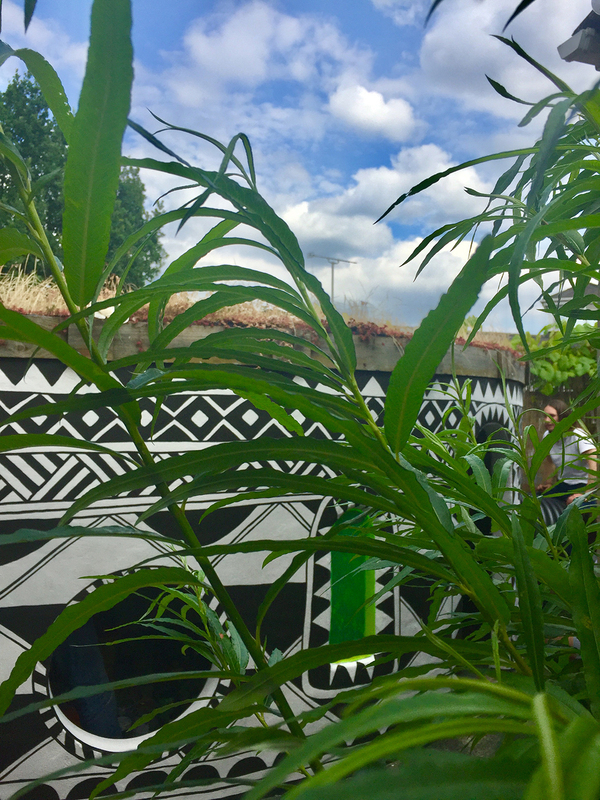 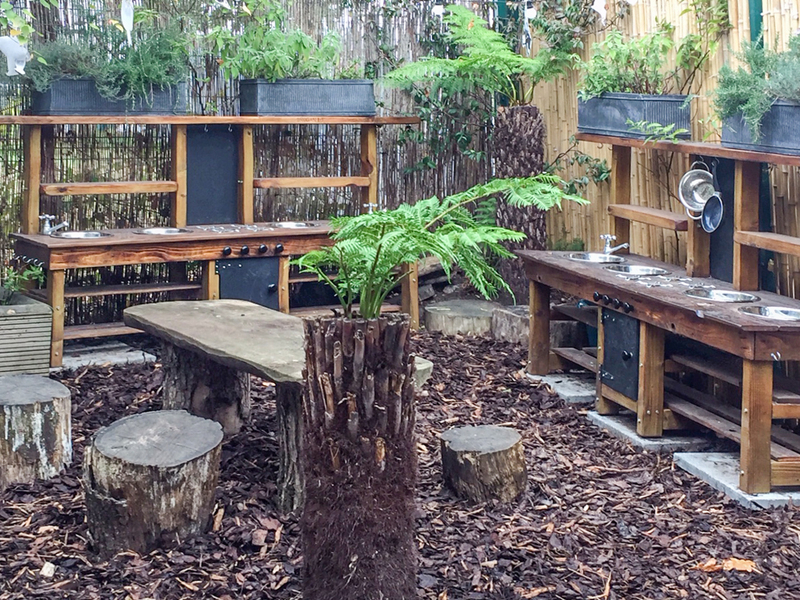 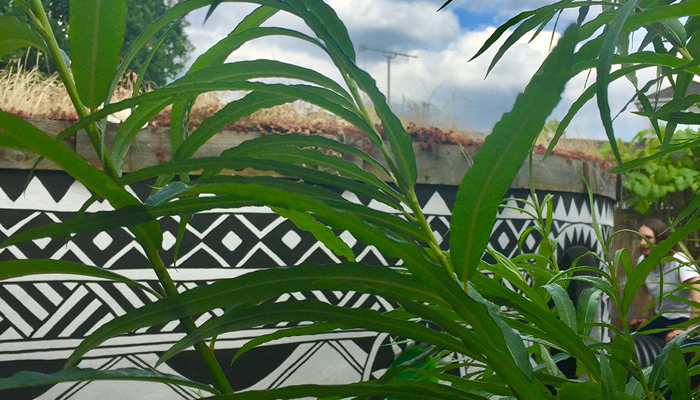 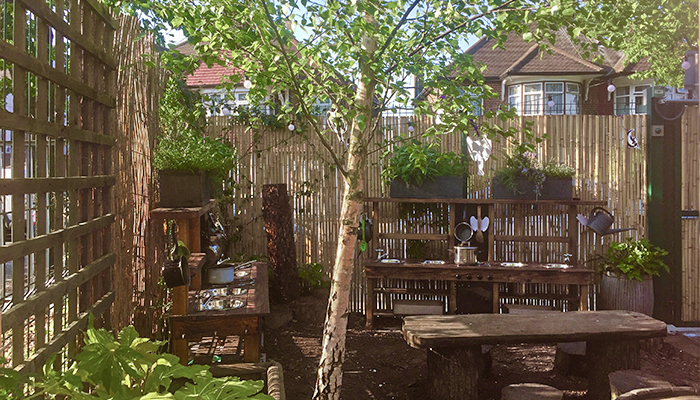 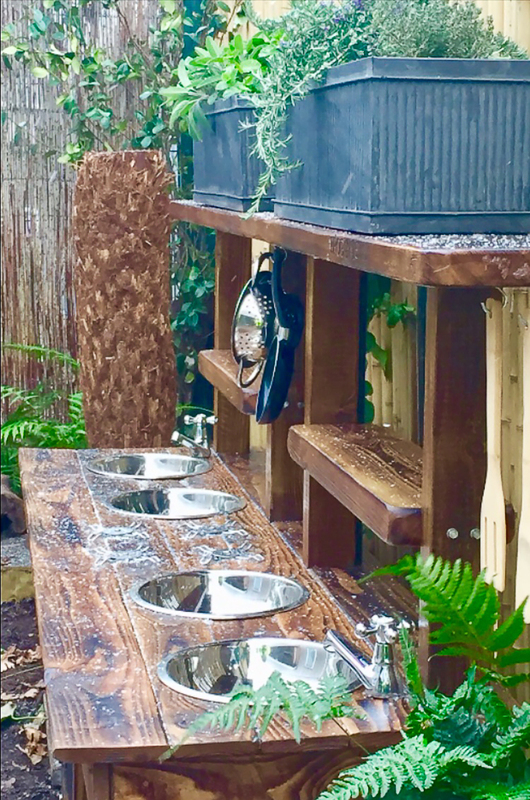 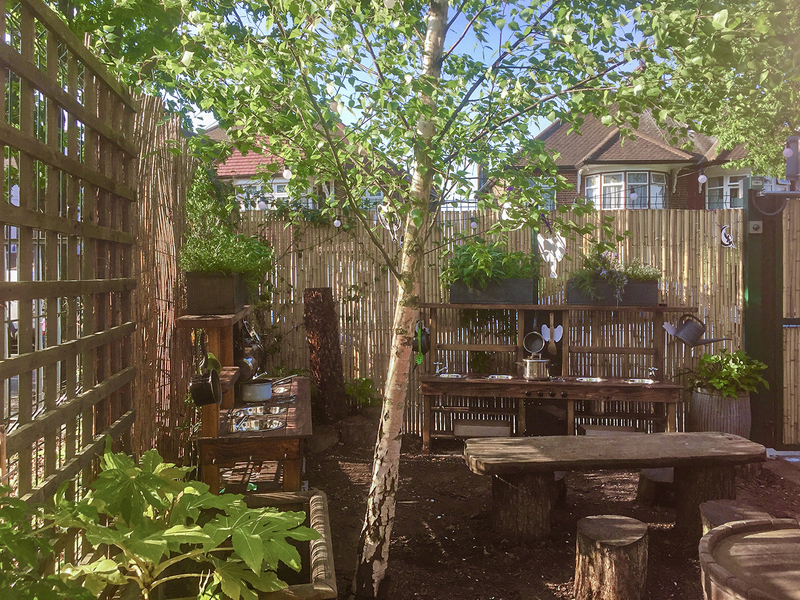 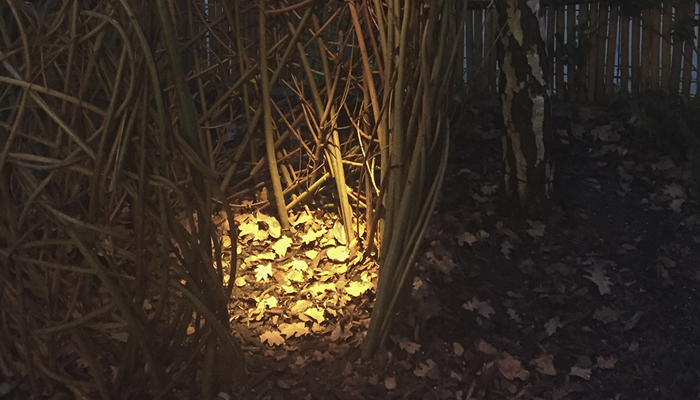 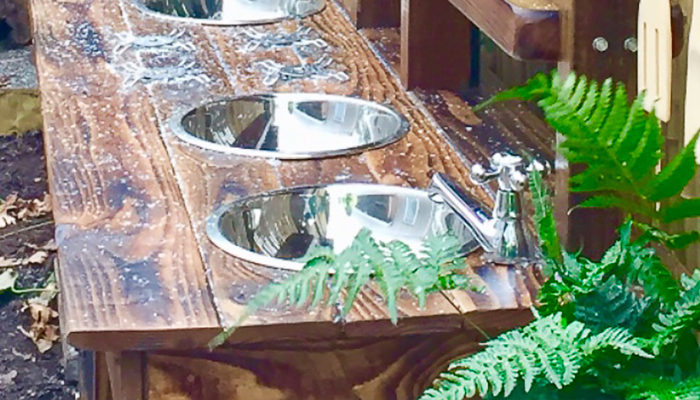 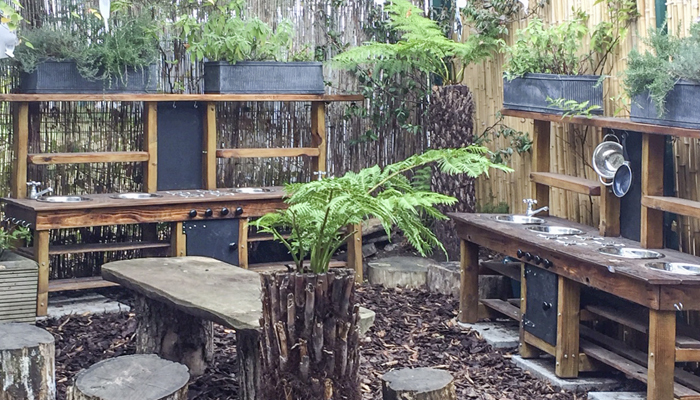 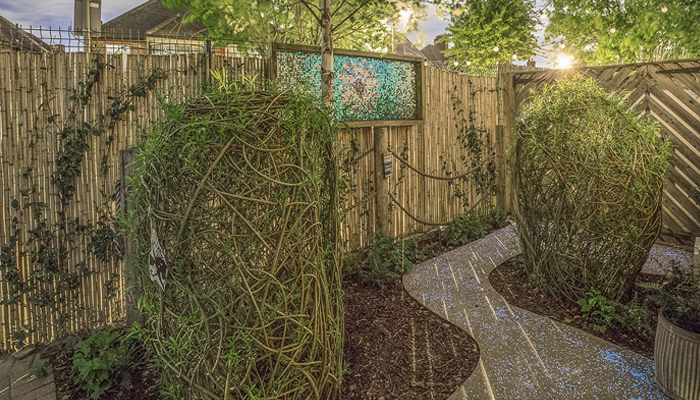 The garden is home to salvaged timber play kitchens, aromatic herb planting and architectural natural willow pods. 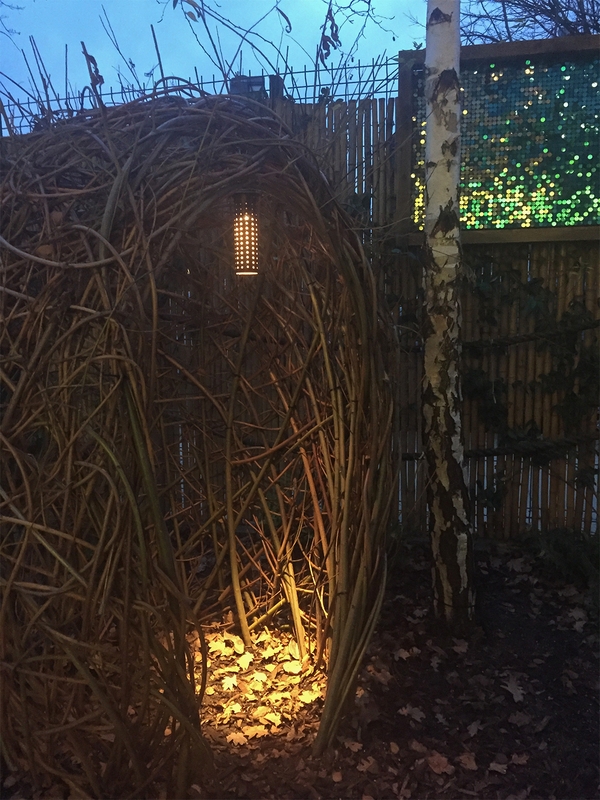 From outdoor speakers the sound of bird song and the sea can be heard as an antidote to city noise. 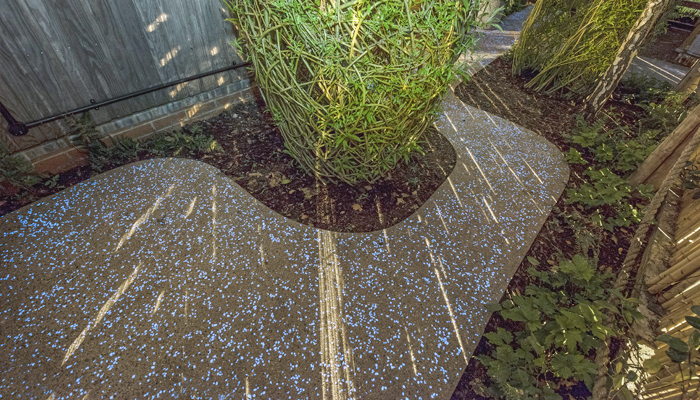 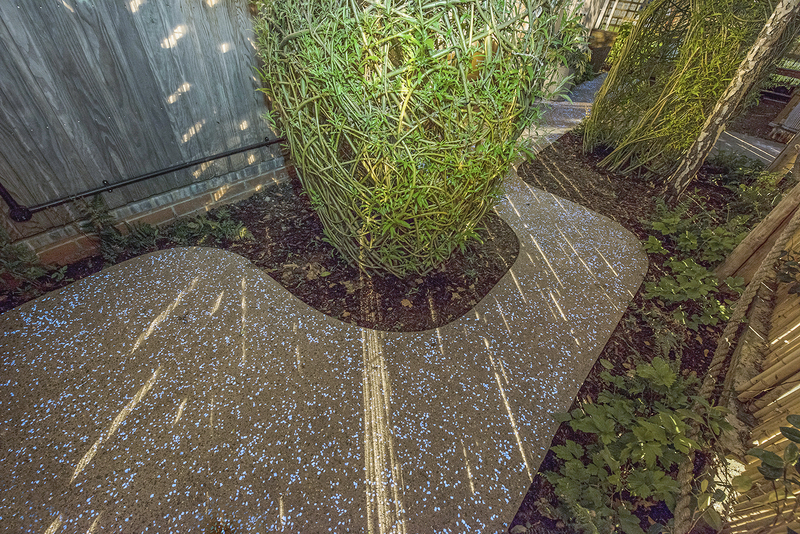 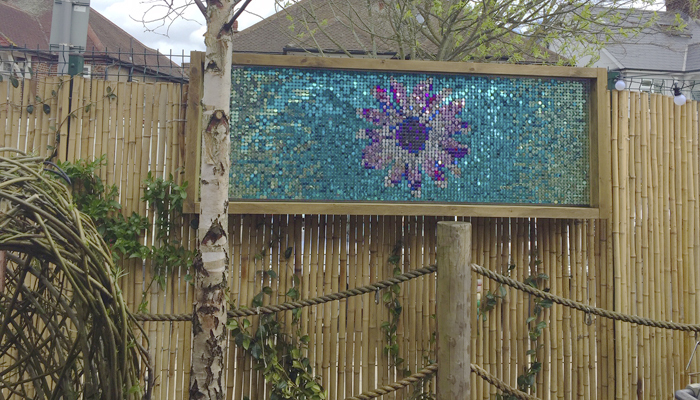 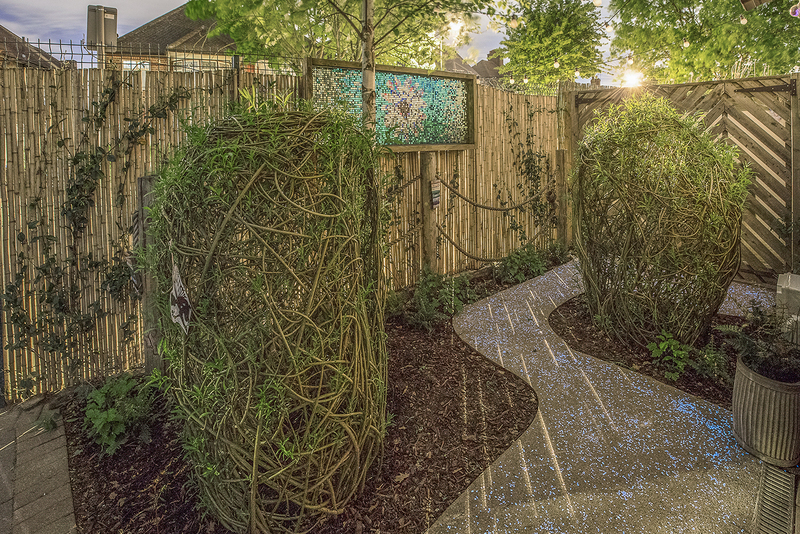 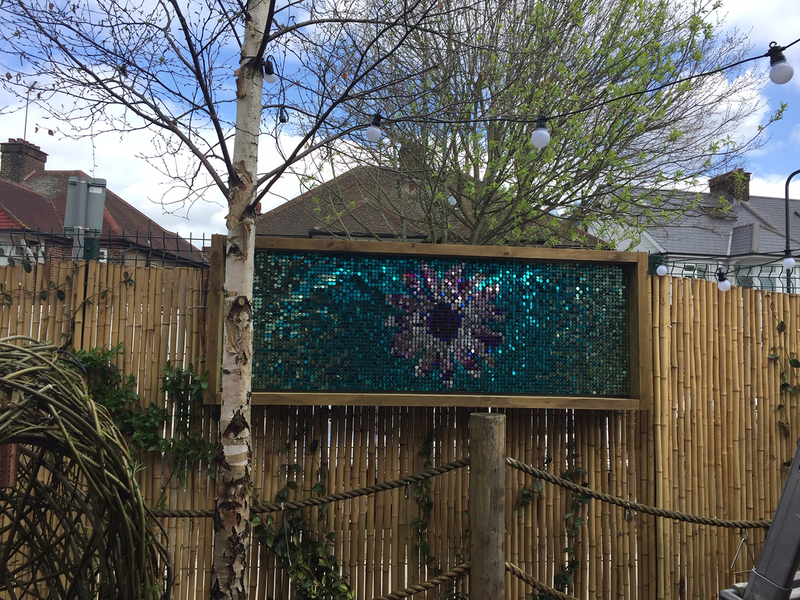 It is a multi disciplinary approach to garden design in a small area, the Collaboration with Willow Artist Jim Buchanon, use of Art and commercial imagery in the shimmer image, diverse technology with light emitting aggregate set within the pathway all make for a stimulating environment for pre-school children.